Outgoing: Dato' Seri Hishamuddin Tun Hussein, caretaker Minister of Defence during the Defence Services Asia 2018 show, announces the April 2020 dates for the next instalment of the arms show on 18 April 2018. A new Malaysian defence minister will have the honour of declaring DSA 2020 open. Wait till after the elections. 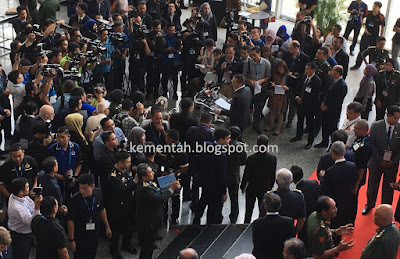 That was the line that many defence professionals at last month's Defence Services Asia (DSA) arms show in Kuala Lumpur heard or were told, whenever conversations touched on acquisitions by Malaysia's defence ministry. Well, the Malaysian General Elections have come and gone. 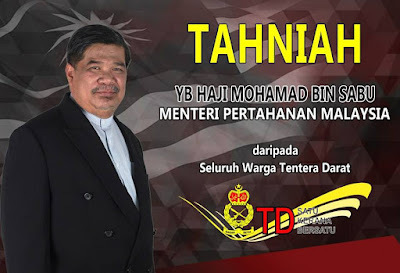 The caretaker Minister of Defence who so cheerfully hosted many official delegations at DSA 2018, Dato' Seri Hishamuddin Tun Hussein, has lost his job. Henceforth, all major acquisitions will be reassessed by a new government led by Prime Minister Mahathir Mohamad. So what's next for Malaysia's defence scene? In the short-term, this quite possibly means that big-ticket purchases coveted by the Malaysian Armed Forces (MAF) will be put on hold. Notable examples include the Multi-Role Support Ship for the Royal Malaysian Navy, as well as plans to buy M-109 155mm self-propelled guns and even more Pakistan-made Baktar Shikan anti-tank missiles for the Malaysian Army. A question mark also hovers over the plan to acquire light strike vehicles for Malaysian Army special forces. For now, it appears that European ambitions to fill the Royal Malaysian Air Force requirement for a Multi-Role Combat Aircraft will remain a pipe dream. Do not, however, mistake the change in administration as a precursor to a softening in Malaysia's defence posture. While media reports laud Dr M with the honour of being the father of modern Malaysia, let's not forget that the back-from-retirement-PM also presided over the transformation of the MAF from a counter-insurgency force to one trained, organised, equipped and supported for a full spectrum of conventional warfare operations. Under Malaysia's long-running PERISTA programme to modernise the MAF, Malaysia's war machine made significant leaps in capability, lethality and defence readiness under Dr M's watch. It was no mean feat, with the MAF fighting to fulfill its wish-list with budgets constantly under pressure and with a defence procurement process whose choices were sometimes perplexing from the standpoint of whether the MAF was getting maximum bang for buck. In retrospect, there were some missed opportunities that could have seen the Federation surpass capabilities fielded by its neighbours. But the original specifications underscore the ambitions of Malaysia's defence planners to field weapons, such as the Tornado IDS and ECS variants proposed under a 1988 MOU with Britain, that could shake the centre of gravity of possible adversaries. Plans to introduce up to 27 patrol craft also never saw the full complement enter service. Only six were eventually ordered. These are the Kedah-class MEKO 100 offshore patrol vessels. Seen with a broader time horizon, however, Dr M's tenure as PM resulted in big gains for Malaysia's military. In 1994, the Rapid Deployment Force centred on 10 Briged (Para) was established to give the MAF the capability to insert and support brigade-level airborne operations. Dr M himself did the honours as 10 Bgd was declared operational. At the turn of the century, Malaysia moved towards introducing its first main battle tank when the Polish-made PT-91 was brought to Malaysia for field trials. This resulted in the purchase of the PT-91M Pendekar MBT and variants such as bridge-layers and recovery vehicles. Around the same period, the Brazilian-made ASTROS II rocket artillery system was acquired, marking a substantial jump in hitting power for the Malaysian Army as the ASTROS II was fielded as the Keris. Nominally a tactical weapon system, the 90km range of the Keris Sistem Roket Lancar Berganda (SRLB, multiple launch rocket system) enables the weapon system to exert a strategic influence when ranged against geographical entities, such as the city-state of Singapore, whose size is dwarfed by the Keris SRLB range ring. So what do these historical snippets say about the future of Malaysia's defence scene? 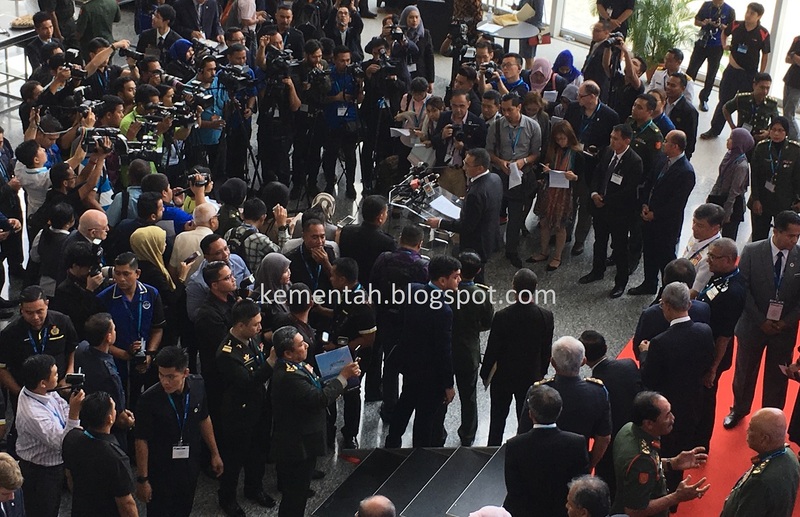 As far as defence shows such as the Langkawi International Maritime and Aerospace show (LIMA) and DSA are concerned, it is likely that future editions of such exhibitions will continue to stay relevant to the world's defence industry. LIMA is held at Langkawi island every odd-numbered year. Dr M is Langkawi's Member of Parliament. Do you think the new PM would pull the plug on the show? Not likely. If anything, the next LIMA in March next year will emerge new and improved, and will be used to showcase Dr M's promise to island folk to bring prosperity to Langkawi through tourism receipts etc. As for DSA, held every even-numbered year, the next show in April 2020 will allow defence companies to court Malaysia's defence establishment on a more level playing field. Remember that for every weapon platform or system that clinched Malaysian contracts previously, or were under consideration under the Najib-led government, there would be competitors who claim that they too could have fit the bill. The review of government purchases gives the also-rans a golden opportunity to make their sales pitch yet again. And if the new government's administration of defence contracts plugs the leaks, figuratively speaking, this would lead to a more effective Malaysian war machine as the best and most cost effective military solutions are fielded. There's another spin to Malaysian defence shows that resides outside the defence sector. This is the filip to the local economy that comes from staging such shows. Spinoffs run into millions of Ringgit, from hotel room nights booked by exhibitors and visitors, to spending on F&B receipts, transportation and communications and huge bills racked up for the logistics of setting up and displaying their products at the exhibitions. Just look at the DSA 2018 visitor tally. The four-day show attracted 50,000 trade visitors from 64 countries, and recorded 350 VIP delegations from 44 countries - figures that attest to DSA's claim as one of the world's top five defence shows. Even if you strip away local attendees, it is big business. These are compelling numbers not easily swept aside. Furthermore, Dr M's government's desire to review all big-ticket purchases does not magically erase threat assessments by the MAF. Current and emerging threats will need to be addressed, eventually. Malaysia's military will still need to be given the tools to do the job, eventually. Dr M had done so in the past. And once Dr M sorts out short-term domestic issues, he can be expected to help drive the MAF to the next level of readiness and capability. I think for the short term, Mahathir would probably concentrate on either freezing or cutting back defence spending in order to plug the hole left by the abolition of GST. Malaysia basically does not have the money for large projects at present. Further, the corruption endemic in the past would probably not be tolerated by the present Pakatan Harapan parties, who have in the past questioned the wisdom of certain projects. As they were in the opposition, they were ignored. Now that they are in power, it would be very difficult to have business as usual as it was in the past. Too often, the Ministry of Defence was treated like a cash cow by whoever was the Minister of that department at that time. Take for instance the 2002 Scorpene submarine deal under the then Minister of Defence at the time it was done, one Najib Razak. The EUR 1.2 billion sale of French ‘Scorpène’ submarines to Malaysia and dubious commissions which accompanied the sale, coupled with the kidnap and murder of a the Mongolian model in 2006, has certainly made Malaysians very cautious of big spending military projects. The Mongolian President recently requested a few days ago to have the Mongolian murder case to be reopened and a thorough investigation carried out. With the previous opposition parties who championed a through transparent investigation of the Scorpene deal to be done now in power, I would suggest that any major military projects would be very carefully scrutinised and most probably limited.